Every year, on average, fires burn an area roughly the size of the European Union. These fires, and the damage they cause, can be monitored from space. The Copernicus Sentinel-3 mission carries the Sea and Land Surface Temperature Radiometer. It can be used to locate active fires and assess their radiative power. These data are expected to be used for practical applications such as air-quality forecasting in regions where air quality is affected by fires, and for scientific research. To help make sure that the satellite measurements made from space are accurate, scientists take similar measurements from aircraft carrying special sensors. Taking comparable measurements involves flying over fires as one of the Sentinel-3 satellites obits above. To prepare a field campaign such as this, a UK Twin Otter aircraft operated by the NERC Airborne Research Facility was fitted with multiple infrared imagers, in addition to its normal hyperspectral ‘Fenix’ visible to shortwave infrared imager and high-resolution photography system. In April 2018, it was flown above a large controlled ‘bonfire’ that had been lit for the experiment. A number of passes were made to check the settings of the infrared imagers. Using these test data, along with the hyperspectral imagery available from the Fenix, the optimum settings could be ascertained. 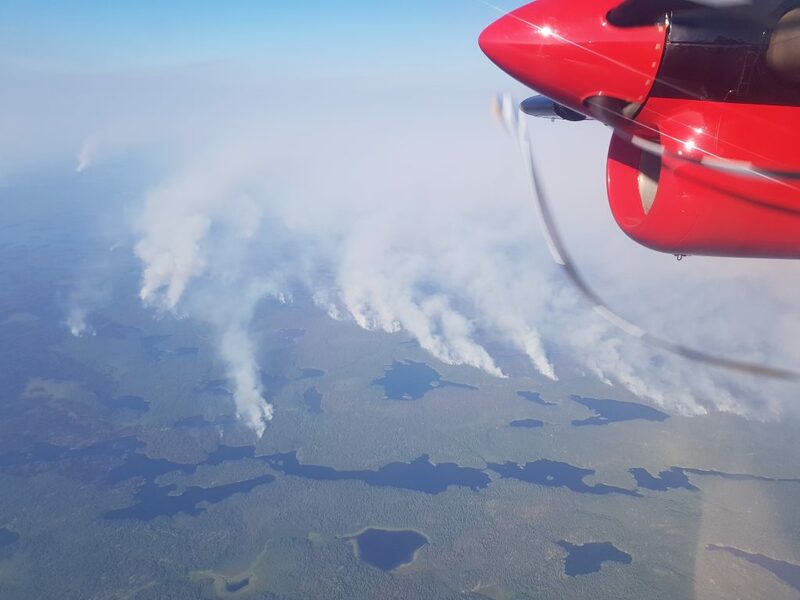 To carry out the full campaign over real wildfires, a team from King’s College London worked again with the Airborne Research Facility, as well as local fire scientists and logistics teams from the Canadian Forest Service and the Aviation Forest Fire and Emergency Service group of the Ontario Ministry of Natural Resources and Forestry. 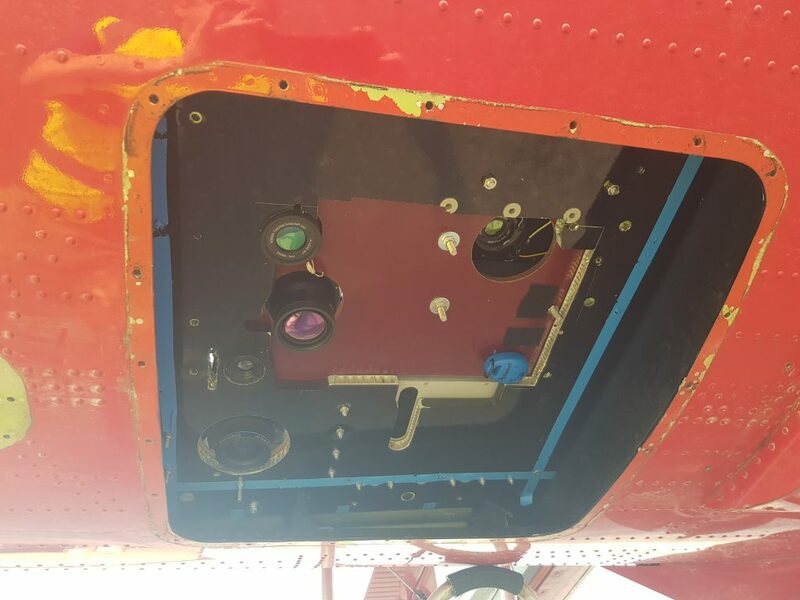 Together we fitted a host of infrared imagers to the plane to complement the existing hyperspectral and very high-resolution digital photography normally available on the aircraft. Our target was boreal fires burning in the forests of Northern Ontario, Canada. 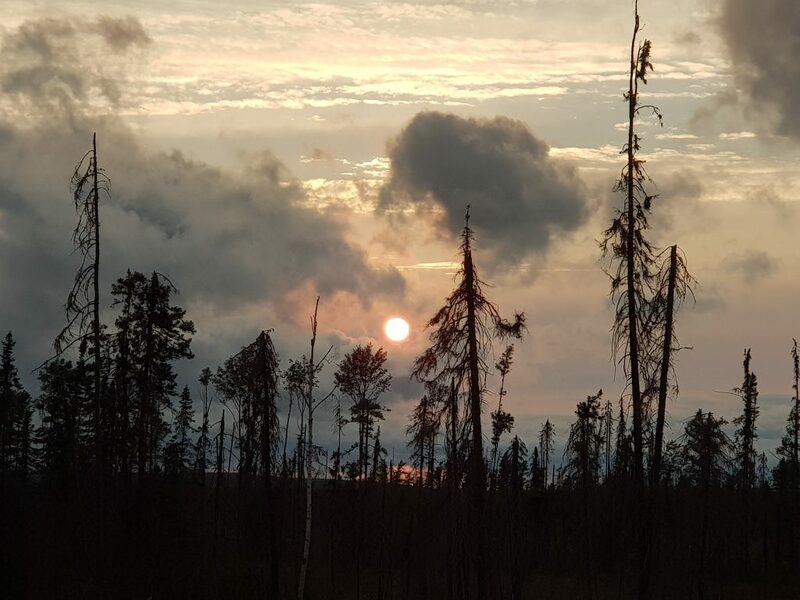 Working in conjunction with the Canadian Forest and the Ontario Ministry of Natural Resources & Forestry, we were able to get information on where the fires were and how they were behaving. Wildfires are mostly ignited by lightening in this northern boreal ecosystem, and so quite natural presence in this environment. Two weeks before the campaign we decided to target the specific area around the town of Red Lake, Ontario, because there were fires within 100 km of the airport and so easily reached by plane. Also weather forecasts suggested that fire-prone conditions would likely continue over the coming weeks. Because towns are few and far between in the region, many of these forest fires are classed as ‘being observed’ by the authorities, with the fire response agencies simply keeping a track on where they are and what they are doing, and only suppressing the fires with ground-crews or aircraft if the are deemed to pose a problem. These types of fire were ideal targets for our mission, because they could be surveyed from the air without bothering other aircraft that would be in the vicinity if the fires were being actively suppressed. 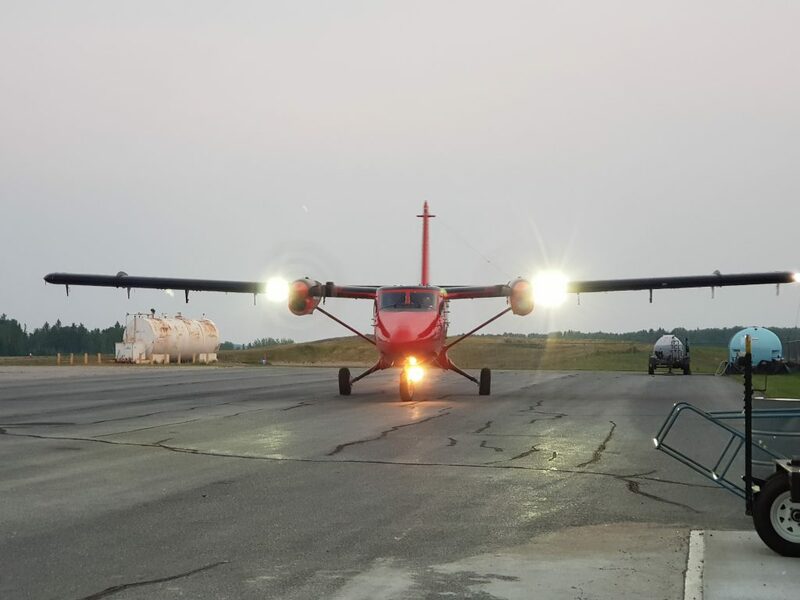 Our Twin Otter survey aircraft flew into Red Lake airport on 10 August and prepared to target fires burning within a 100 km radius. The survey equipment had been shipped over prior to the campaign, and was fitted in the aircraft over a period of two days to prepare the now highly-capable airborne science laboratory to collect the infrared imagery. 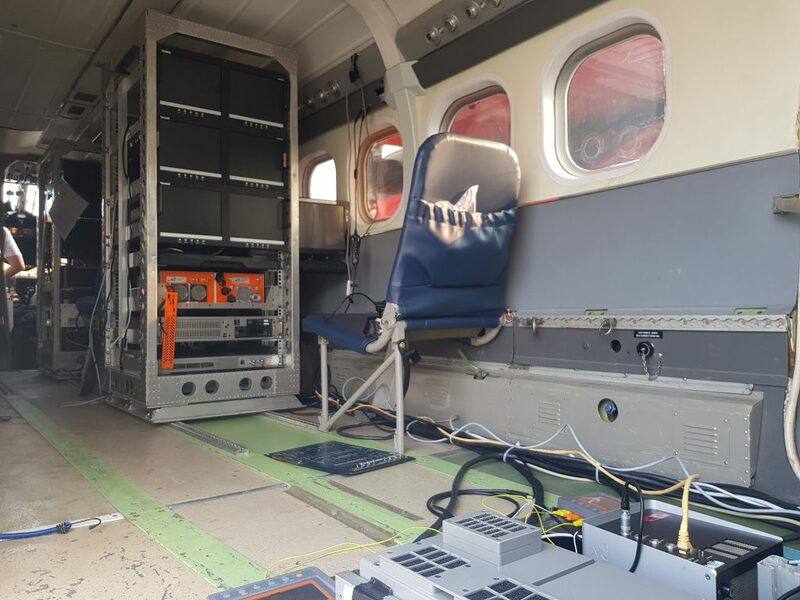 Now packed with the highly sensitive imaging equipment, our survey aircraft could detect even the smallest and most weakly burning parts of the fires from its flying altitude of almost 2600 m, hopefully doing so as the Sentinel-3A satellite orbited overhead. In fact, since the more recently launched Sentinel-3B satellite is running in tandem with Sentinel-3A, data from both satellites were collected over the same fire within 30 seconds of one another – so we are able to use the same airborne data to evaluate the products from the radiometers on each satellite. Over the next two weeks, we flew over multiple forest fires as the Sentinel-3 satellites came over the horizon. To minimise the affects of cloud cover, which was typically greater in the day, many of the survey flights were conducted at night. Even though we could access satellite data each day, before each take-off, the location of the fires were not known precisely as they would have moved since the last data collection. Running the instruments onboard the survey aircraft, in the dark whilst searching for active wildfires proved a complex, exacting task, and took a lot of perseverance. There was also luck involved in being able to capture the required infrared imagery at the correct time without overhead cloud interrupting the satellites’ view of the fire. Fortunately, everything came together and through real teamwork over 10 successful flights were flown in conjunction with Sentinel-3 satellite overpasses. This enables the data to also be used to understand fire characteristics such as rates of spread and growth, in addition to size and radiative intensity. These airborne data are now being pre-processed, calibrated and geo-located to derive information that can then be directly compared with that coming from Sentinel-3.